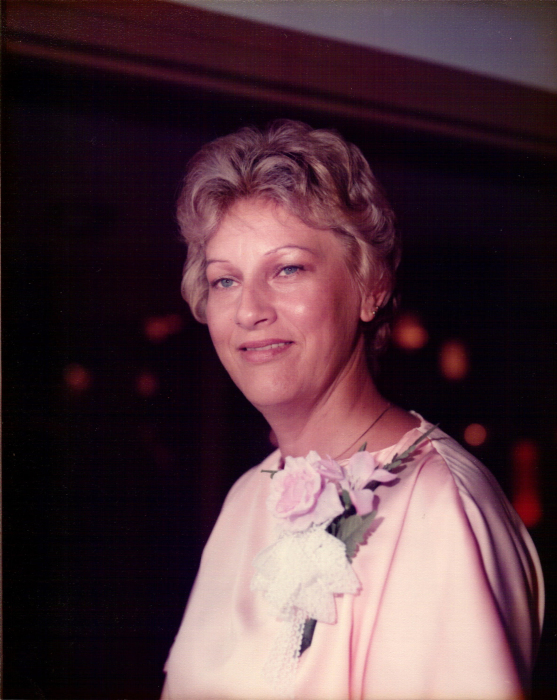 Mrs. Billie Jean (Moyers) Hubbard, age 72, departed this life on October 29, 2018 at her home in Barbourville, Kentucky. She was born on October 24, 1946 in Barbourville, Kentucky to the late Charles Henry and Martha (Berkley) Moyers. Billie was a factory worker, a member of Boone’s Temple Pentecostal Church in Tennessee and loved working in her flower beds. She was preceded in death by her loving husband Carl Hubbard, her parents Charles and Martha Moyers and brother Charles ‘Rod’ Moyers. Left behind to mourn her passing are son Carl Dewayne Hubbard and wife Pamela of Barbourville, Kentucky, daughter Patricia Ann Owens of Barbourville, grandchildren Carl Dewayne Hubbard, Jr. and wife Samantha, Charles Dewayne Owens and great-grandson Jonathan Carl Hubbard. She also leaves behind many relatives and friends that will miss her dearly. The Hubbard family would like to extend a special thank you to Bluegrass Hospice of Barbourville for their loving care and invaluable help to Billie and our family. Funeral Services will be conducted at Cobb-Hampton Funeral Home on Friday, November 2, 2018, at 2:00 p.m. She will be laid to rest in the Barbourville Cemetery. Pallbearers will be Carl Dewayne Hubbard, Jr., Gary Hamilton, Curtis Brown, Tristan Curtis Brown, Terry Hubbard, Chris Mills, Charles Dewayne Owens and Justin Mills. Honorary Pallbearers are Lonnie Hubbard, Michael Hubbard, Shirley Berkley, Richard Berkley, Richey Berkley, Joshia Hubbard, Phillip Smith, Randall Roach and Jonathan Carl Hubbard. Cobb-Hampton Funeral Home will be in charge of all arrangements. Friends may call at the Cobb-Hampton Funeral Home on Thursday, November 1, 2018, from 6:00 p.m. until 9:00 p.m. and on Friday, November 2, 2018 from 10:00 a.m. until the hour of service. To the Hubbard family, the staff of the Cobb-Hampton Funeral Home would like to offer you our heartfelt sympathy during your time of bereavement.